What a pleasure it was to receive a box of Cherries Glamour with four little punnets of delicious dark red cherries sent all the the way from Spain! I know that's not an 'eat local' thing, but Scotland isn't a noted cherry growing country so I don't feel too bad. The cake is easy to make as it uses a batter-type mixture made with melted butter rather than creaming. 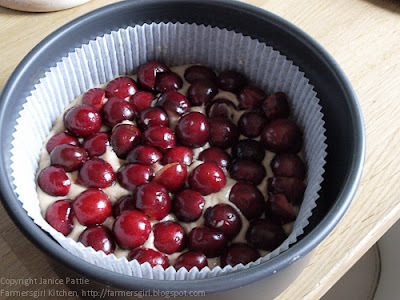 The cherries go on top of the batter, as I don't have a cherry stoner, I halved the cherries and removed the stones with a knife. 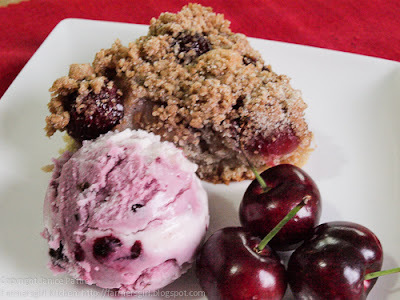 The cherries are then topped with a crumble mixture. 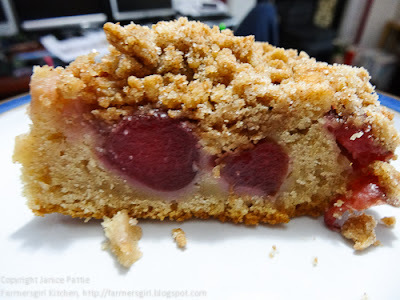 I found the recipe was rather heavy on butter and light on flour so added a bit more so I could get it to the correct crumble consistency (like breadcrumbs) I used spelt flour for the crumble as I love the added flavour and texture that it provides. You don't get a lot of rise with the cake, probably due to the moisture in the fruit, the cake is not over sweet and I would say it is more suitable for dessert rather than as a slice of cake, but we did eat, and enjoy it as both. The company's production philosophy is based on integrated production, GLOBAL GAP and the use of ecological cultivation techniques. 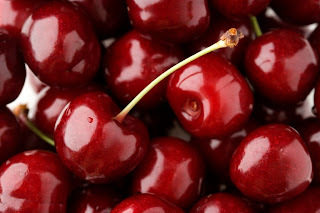 The cherries are picked daily, at the point of having ripened to perfection, and are dispatched on that same day so that the client receives a fresh product with all its freshness and flavor. S.A.T. EDOA “Cherries Glamour” is a Spanish company located in the Ebro valley near the Pyrenees in the province of Lleida that specialises in the production and marketing of cherries in March, the first and only company in the world to do so. Follow Cherries Glamour on Facebook. I received a box of Cherries Glamour to review, I was not paid for this review and all views are my own. A lovely looking cake. 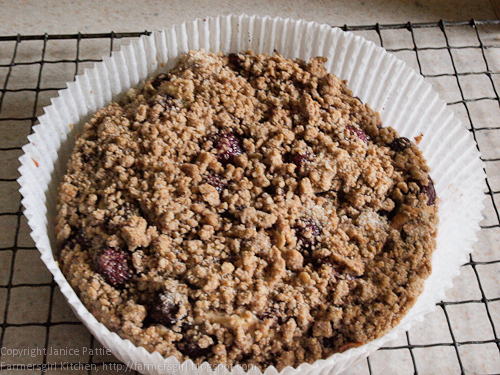 I absolutely like cherry crumble cakes. I love cherries! Can't wait for them to come in season here, but I would love some of these Spanish ones. Sometimes, especially in the winter, eating locally is a little overrated. That cake looks splendid Janice, I love a good crumble cake, but keep forgetting to make one. The scoop of ice-cream looks perfect too. Those cherries look so fantastic, I am craving them now and hoping I haven't left it too late to say yes to getting some myself. I am rather behind with all my e-mails. I love crumble, I love cherries, how could this cake get any better?? This looks scrummy, Janice! I love cakes like this. 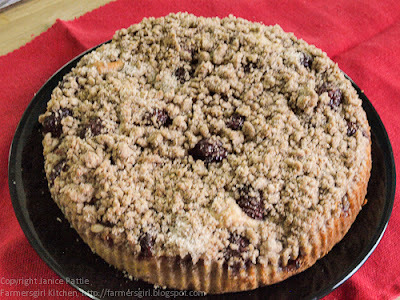 In the States we would say this has a streusel topping, which I remember fondly from childhood baking sessions with my grandmother. We would use fresh milk from her farm. Love cherries and can't wait until they are in season. They are my top fruit luxury and I will pay a ridiculous price for decent ones. I think that looks fabulous Janice. A real treat!